Yeah. Minimize risk of choking. That's what I want in my baby products. A mild choking hazard! In all seriousness, though, this is one of my biggest beefs with some parents. Those adorable little poop machines? They're people too, goddammit, not accessories to be paid attention to only when it suits you. You can already buy or make a pacifier tether so that if Junior spits it out it doesn't fall on the ground. This isn't a product that addresses the issue of a fallen binky. This is a product that addresses the issue of your baby deciding to babble, coo, or, yes, cry instead of sucking on a rubber teat. I mean I TRULY understand what its like to want things to just.freaking.work especially with babies but there's a line. there's a reason that having babies is a big deal....cause it's WORK, b/c it's not about YOU anymore, its about them and if you have to sit there tired as hell holding in a paci you will either a.) learn how to sleep standing up like the rest of us or b.) invent some idiotic contraption so you don't have to do anything....rinse, repeat. Do i own contraptions? sure...but for the most part they don't put them in obviously dangerous situations like this. my kid jumping up and down on his bouncy chair is probably pretty dangerous but....he can control it completely which is a big milestone in contraptions in my mind. Nature's solution is still the most efficient. 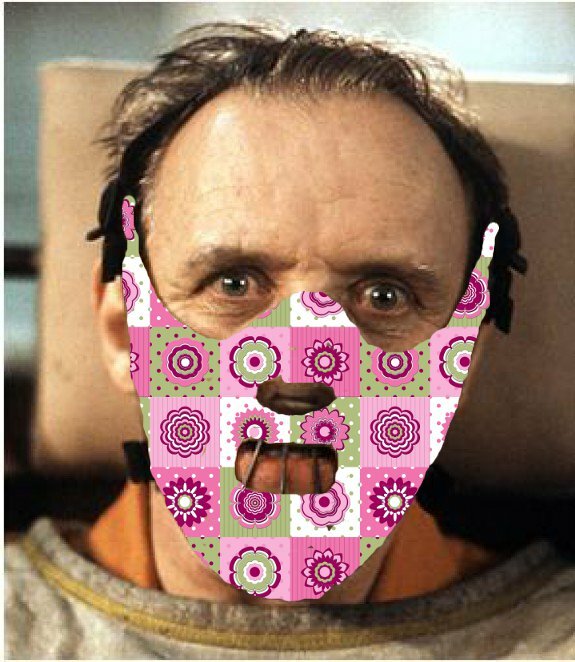 Using Hannibal Lector in the mask is ironically funny given what he said to the Senator in that scene of the film. Other than my daughters being totally amazing and beautiful, one of the things I am most proud of in raising them was that they were both pacifier free in the 4-6 month range. To be honest, I have never seen the film, but it's an iconic pop culture image anyway, so my mind went straight there. 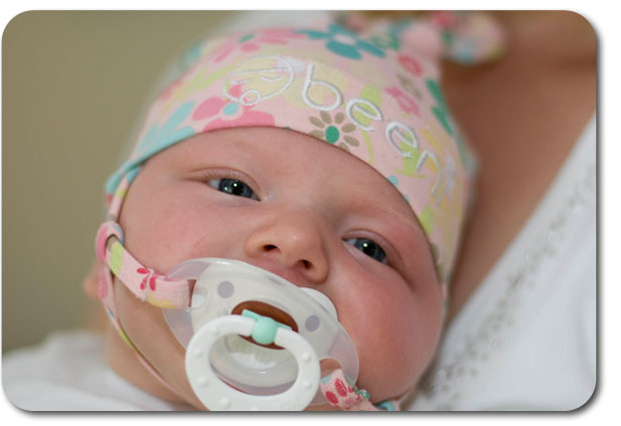 Two out of my four kids have refused pacifiers outright. The other two used them for three and two weeks each, and then nearly only in the van. Then they spit them out and wanted no part of them. All four kids have had very high suckle needs, but since I'm at home with them I don't mind being the pacifier. Even given my limited experience with them, when they were needed they were needed. So I know the frustration of a binky that goes flying, but something like this is still abhorrent. Looks dangerous to me; what happens if the baby spits up while that thing is in place?